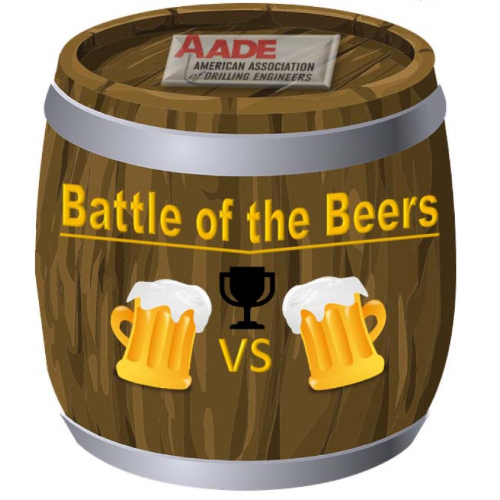 Join us on November 9th for the First BATTLE OF THE BEERS (brought to you by AADE – Alaska Chapter). Join Odd Man Rush, Bearpaw River, 49th State, Double Shovel and more as they vie for your vote to be crowned King of the Beers. Also enjoy the chance to enter the auction to win a Fat Tire Bike, Downhill Skis or a Hunting Pack Frame! The American Association of Drilling Engineers (AADE) – Alaska Chapter is pleased to bring you our Fall Fundraiser – the First BATTLE OF THE BEERS, to be held November 9th, 2018 at the Fox Hollow Chalet (11701 Brayton Dr. Anchorage, AK 99516). The Battle of the Beers competition will be comprised of tasting categories (where all ticket holders will vote) as well as a few categories that include friendly competition between the brewers present as they compete against one another in provided games. At the end of the night, we will tally up how much each brewer scores in each category and/or event, and we will present category winners as well as a single overall Brewery Champion who will receive a trophy and bragging rights to hold over all others…. until next year! In addition to the competition between the brewers, we will have games and auctions for you, and local food trucks will be out on location to sell their fare as well! While one of the goals of the event is to provide an entertaining social where breweries will be able to showcase hand-crafted beer/cider and have a friendly competition that YOU get to be a part of, the primary goal of the event is to be a fundraiser event for the annual AADE charity and scholarship grants. Every year, AADE provides charitable grants to local food charities – Kid’s Kitchen, Bean’s Café & Downtown Soup Kitchen, and provides funding for scholarships that are awarded to graduating high school students and ongoing college students to support their endeavors in further education. All profits made from this fundraiser are utilized for paying these grants and scholarships and ensuring that, with your support, AADE can keep these programs going for years to come!